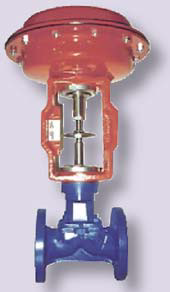 Pneumatic shutoff and control valves with running flow flanged, threaded or to weld, for irons. Manufacturing materials: cast iron, carbon steel and stainless steel. 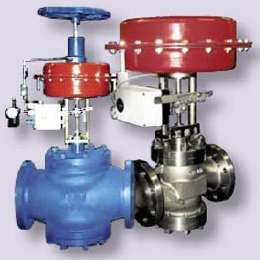 Pneumatic shutoff and control valves with running flow flanged, with spindled seat. 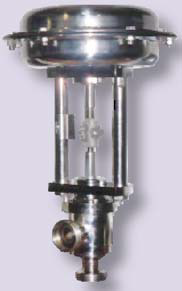 Pneumatic control mixing or diverting valves flanged, threaded or to weld, for steels. 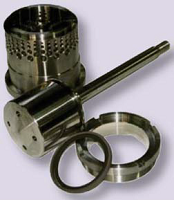 Manufacturing materials: cast iron, carbon steel, stainless steel and special alloys. 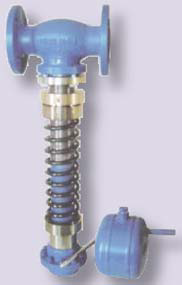 Penumatic control valves for pharmaceutical/food industry flanged, threaded DIN 11851, tri-clamp or to weld. Manufacturing materials,: stainless steel. It is optional outer polishing. 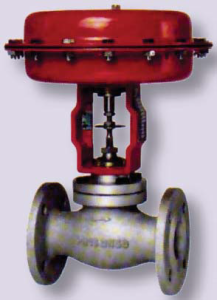 Pneumatic control valves flanged, with diaphragm. 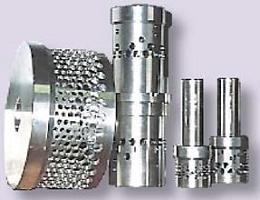 Manufacturing materials: cast iron, simple or with various plastic linings; stainless steel with optional outer polishing and tri-clamp connections or to weld. 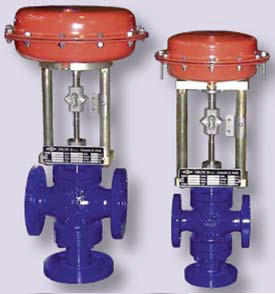 Industrial pneumatic control valves flanged, threaded or to weld, for steels. IND-6 - single/double cage, to lower noise level. IND-EQ – balanced plug, for high differential pressures. Electric control and shutoff valves flanged, threaded or to weld, for steels. Electric motors are chosen referring to applications. 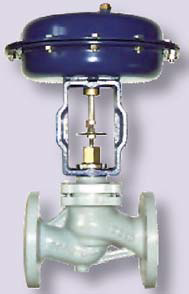 Pressure reducing valves, auto-operated, flanged, threaded or to weld, for steels. Wide range of reduction fields available. For temperatures lower than 200°C, special packing in reinforced graphite “EURO” and double/triple walled bellows in stainless steel or special alloys available. For temperatures lower than -10°C, long bonnets are available to avoid freezing of the packing. 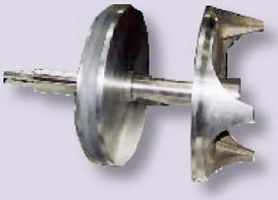 For more lower temperatures are suitable bellows in stainless steel or special alloys.